A directory of physicians who have extensive experience in alternative treatments based on cannabinoids and they offer their knowledge to all those who are interested in true and specialized information on cannabinoids. The practitioners of this directory provide information focused on the use of cannabinoids in a professional manner and provide data on the latest medical research. One of the most recognized and specialized doctors in cannabinoid treatments, for giving a new vision of the use of cannabinoids as palliative and adjuvant treatment. 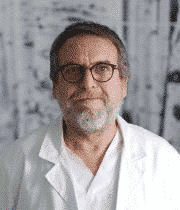 Graduated from the University of Barcelona in 1979 as a surgeon and currently collegiate in Barcelona. Regular member of the I.A.C.M. and vocal member of the Spanish Observatory of Medicinal Cannabis, clinical advice on treatments with cannabinoids. Kalapa team member. Janosch Kratz graduated in medicine and surgery at Sant Pau Hospital in Barcelona. 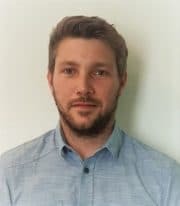 With a good international trajectory, his career is complemented by the professional experience acquired in different hospitals in Germany, Portugal, Brazil and Spain. Today, Mr. Kratz offers advice on cannabinoid therapies and is responsible for the development of the Kalapa-Clinic project. In addition, he coordinates the work of training, research and the creation and dissemination of content in the field of therapeutic cannabis. 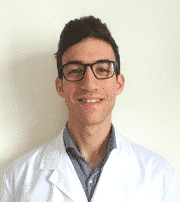 Jorge Jiménez, Graduated in General Medicine at the Universidad de La Laguna (ULL), has served in the primary care service and as a medical advisor in different scientific publications productions of TVE. Nowadays, Dr. Jiménez offers advice on the use of cannabinoids and he is part of the Kalapa Clinic international care team. Cannabinoids are being used as an alternative therapy for many people, but ignorance, and the confusion between therapeutic cannabis and its recreational use, slows down the spread of the knowledge of its potential. A treatment based on medicinal cannabis can show substantial changes in people suffering from diseases that, until now, could not be treated or only had palliative treatments. If you want to know if your condition can be treated with cannabinoids, by following the link you will find a list of conditions that can be treated with cannabinoids, as well as information on the latest advances in medical and scientific research on treatments based on medicinal cannabis. The treatments with cannabinoids are controlled, they are carried out by specialists who offer professional medical advice to those who want to use it.